Having studied with the Italian Sommeliers Association and taking part in several junior sommelier competitions, de Fenzo placed sixth in the National Best Junior Sommelier competition at age 18. Although the Naples native was already well-versed in wine, he told the drinks business that it was only when he moved to London that he began to “truly understand the role of the sommelier in a restaurant, thanks to people around me that played an important role in my career, like chef Francesco Mazzei”. His first break in the UK came in 2011, when he joined the team at now-closed L’Anima in The City as a commis sommelier. After working his way up to assistant sommelier, he moved to Mayfair haunt Sartoria, during which time he placed seventh in the Best UK Sommelier Competition. 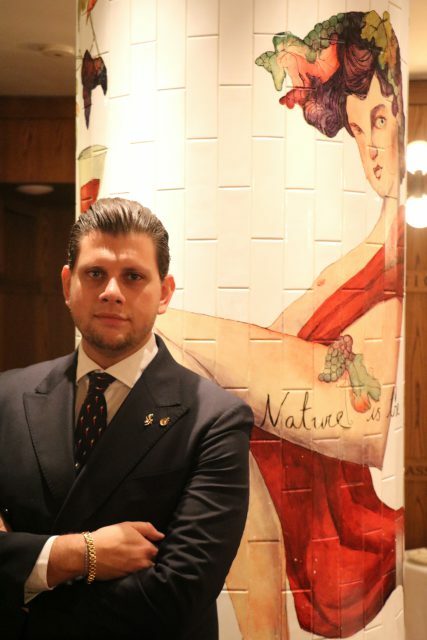 He was appointed a sommelier at Gordon Ramsay’s Knightsbridge restaurant Petrus in 2017, before moving to his current role leading the sommelier team at Frescobaldi, the restaurant run by the Tuscan wine family. The wine list is roughly “80% Frescobaldi’s wines, and the rest is a bit of France and Italy”. While many are inspired by the culinary greats, Fenzo shows his Italian roots when he says his heroes in the gastronomic world are his mother and father, followed closely by Sartoria chef Francesco Mazzei, who taught him “how to eat very good food. Not just creating dishes, but giving a twist to mum’s recipes with a chef’s hands”. A server through and through, de Fenzo’s favourite part of the job is “being in contact with people, and letting them enjoy a journey of sensations through the wine glass”.